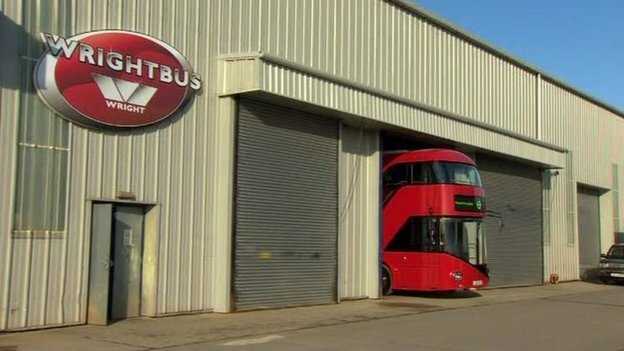 Wrightbus, the Ballymena bus company, is creating 130 jobs. They will be at the firm's factory in Antrim which manufacturers chassis. The company is making a total investment of £14m - more than £10m of which will be for research and development projects. About 70 of the new jobs are already in place. The rest will be added over next two years. The investment is being supported with a grant of £2.5m from Invest NI. The new jobs will pay an average salary of £19,500. The research and development projects are aimed at developing new vehicles for the company's export markets in Asia and the Middle East. The firm's managing director, Mark Nodder, said the investment brought the firm closer to its ambition of becoming "a major international supplier to the worldwide bus market". 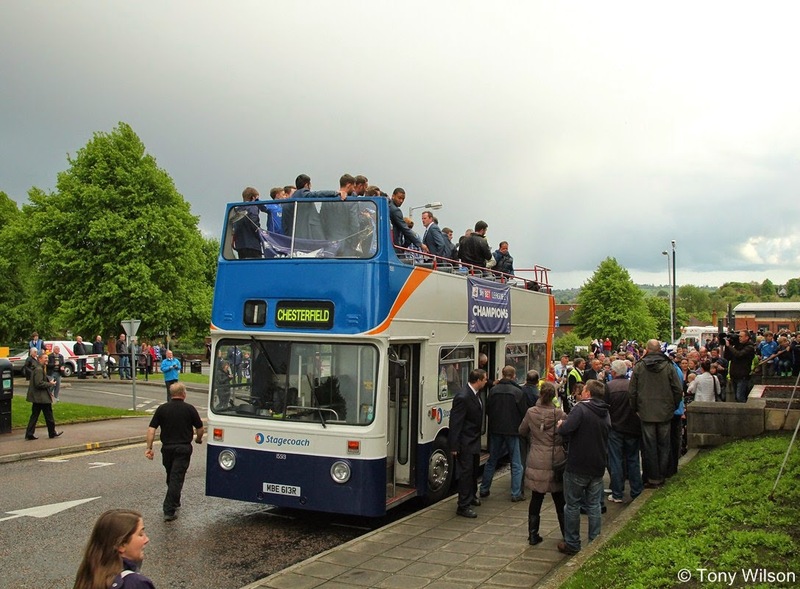 Wrightbus employs almost 2,000 people. The firm's best-known product is the new bus for London, often known as the "Boris bus" after London mayor Boris Johnson who championed it. Wrightbus, the County Antrim bus building company, has secured an order for 50 buses from two Hong Kong firms. The double deck vehicles are being purchased by two operators in the city, New World First Bus Services Limited (NWFB) and CityBus Limited (CTB). The deal is a partnership with Volvo bus which will supply the chassis. The buses will be assembled in Malaysia by Wrightbus's new partner Masdef. It is the first order the company has secured in Hong Kong. "This is a highly significant order for Wrightbus International" said the company's business development director Steve Harper. "Working closely with long-term partner Volvo Bus, we have been able to secure, what is, our first order with NWFB and CTB." "The new partnership agreement with Masdef is an important part of our strategy to extend our presence and capability in the region and will hopefully provide a springboard for further future developments." Enterprise Minister Arlene Foster recently met with representatives from Masdef during a recent trip to Singapore. "This is substantial news for Wrightbus International which is one of Northern Ireland's most pioneering manufacturing firms," she said. "The company's partnership agreements with Volvo Bus and Masdef have proved to be a successful way to secure valuable business with new customers such as NWFB and CTB. "I hope these contracts will help Wrightbus International leverage future business in the region." As we are ostensibly a North East Midlands originated website, once in a while there comes an opportunity to sort of blow our own local trumpet. 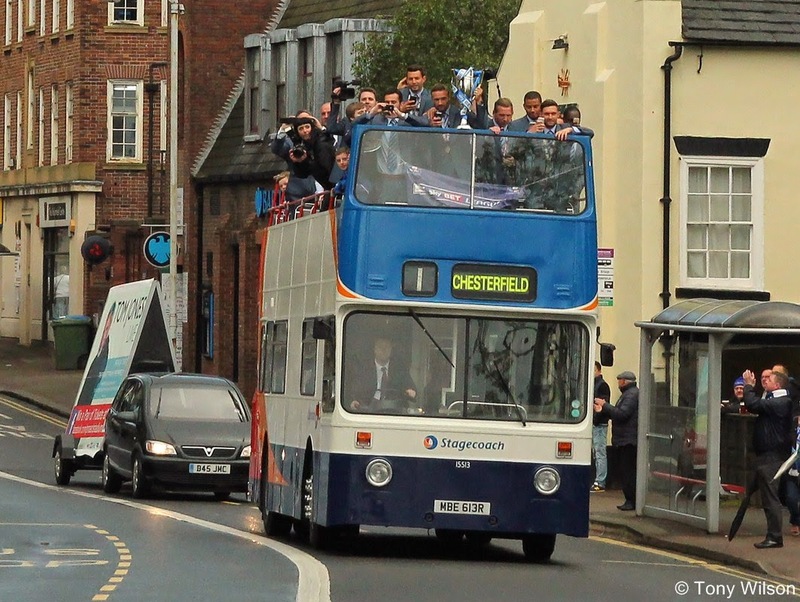 Recently our home town's football team in Chesterfield won the Football Association League 2, and duly paraded the cup around the town. 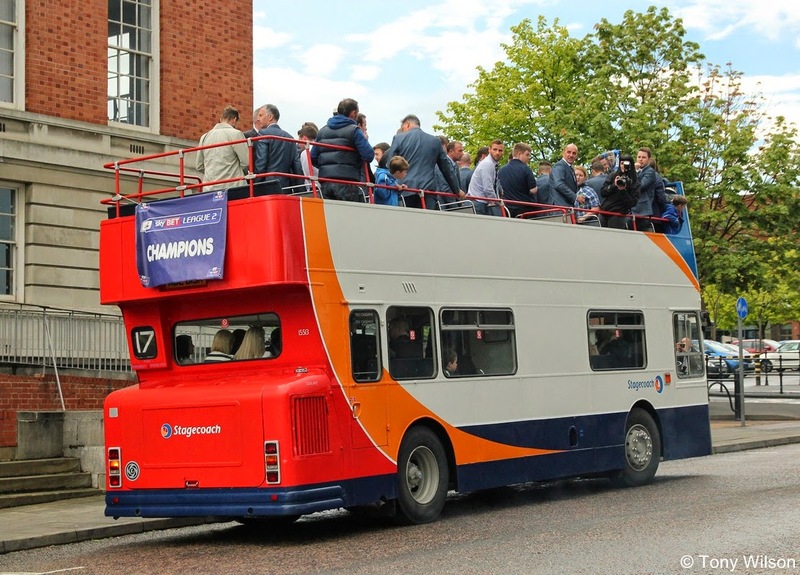 This was completed on Stagecoach Chesterfield's open-top Daimler Fleetline bus number 15513, begun at the football ground and ended at the Town Hall, for a presentation and civic ceremony to celebrate their promotion to League 1.